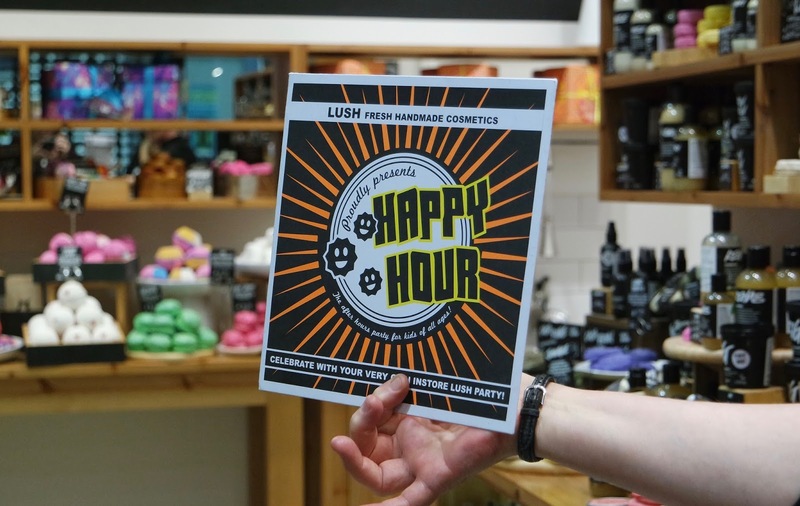 Happy Hour Party at Lush Middlesbrough feat. Easter products | gingerbread smiles. Lush is one of my favourite shops. 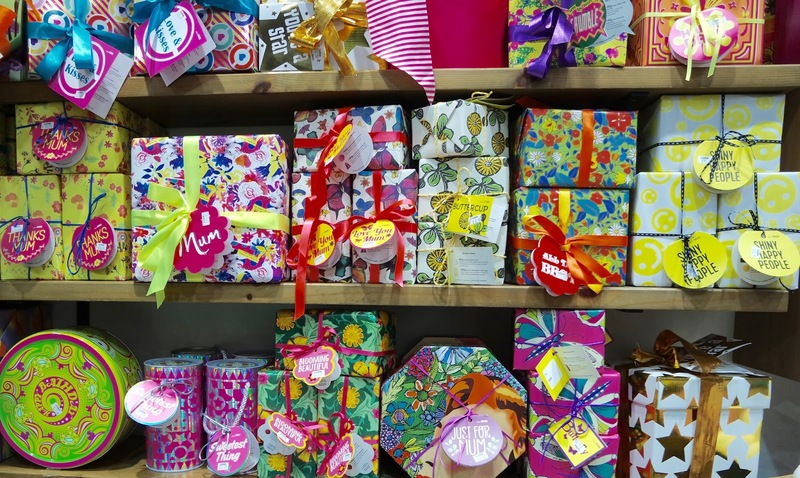 Whenever I visit I always want to buy everything they sell as it's all so colourful, smells amazing and has incredible benefits. 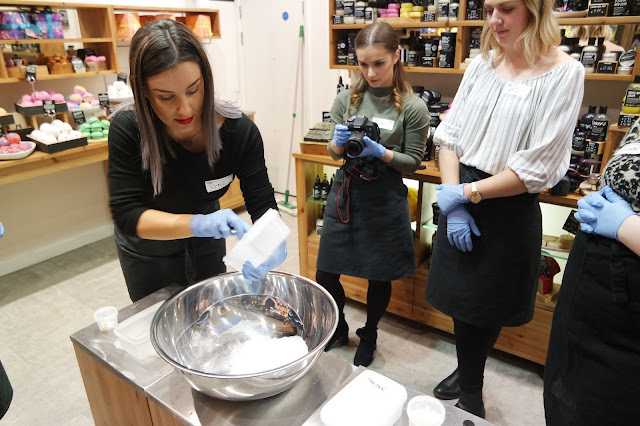 I've already been to one Lush blogger event and it was a lot of fun, so when another invite popped into my inbox I was quick to accept. This time the girls in the shop planned to show us their Happy Hour Party. Although Lush has always had parties in its shops, more recently they've made the events more structured and provided packages for different occasions. We were invited down earlier this week to experience the Happy Hour Party and see some of the new Easter products. 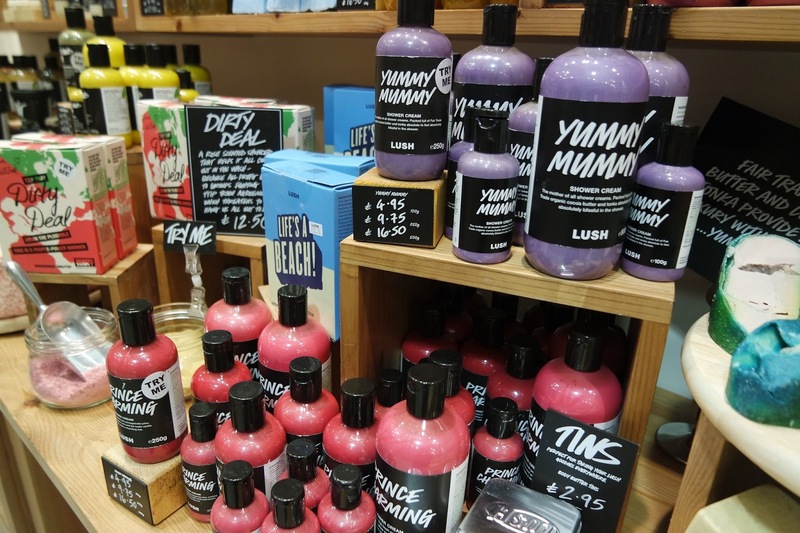 Being in Lush past opening hours is a bloggers dream. 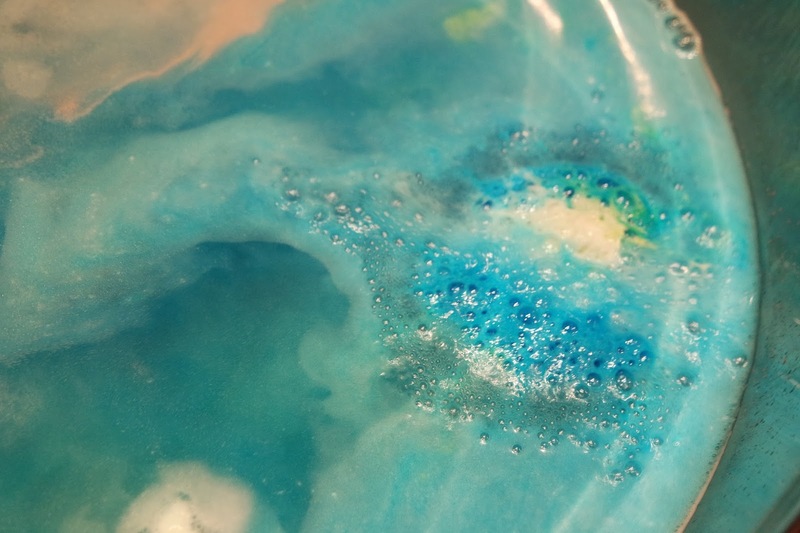 We take get to take a billion pictures (as you can see from this post) of the amazingly beautiful products and we get to try them all out with no-one around. It's amazing. So after we'd drooled over the products we got down to the party. 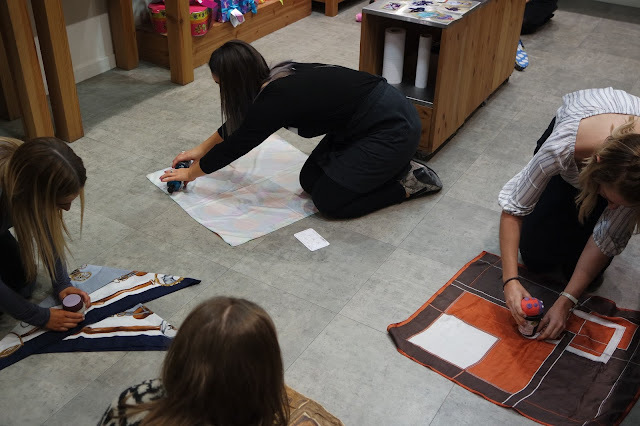 The girls had us playing all sorts of fun party games involving shower jelly, their own brand lipstick and knot wraps. After all the giggles, the girls had a surprise, we had a sneaky peak at the new Easter range which looks amazing. 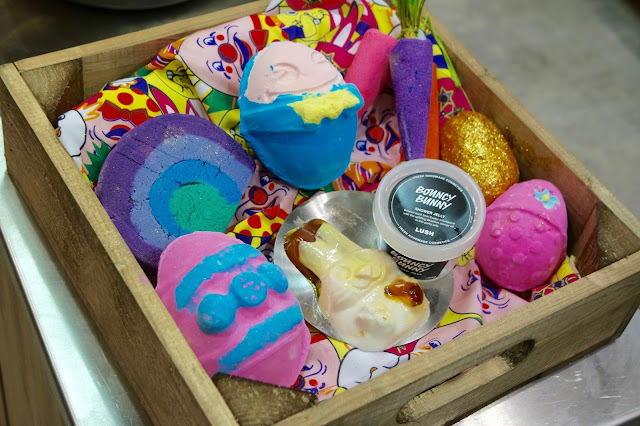 You can see from my pictures a few of the new releases including Humpty Dumpty Bath Bomb (with a fried egg bath bomb inside) and Bouncy Bunny shower jelly (smells of oranges!) 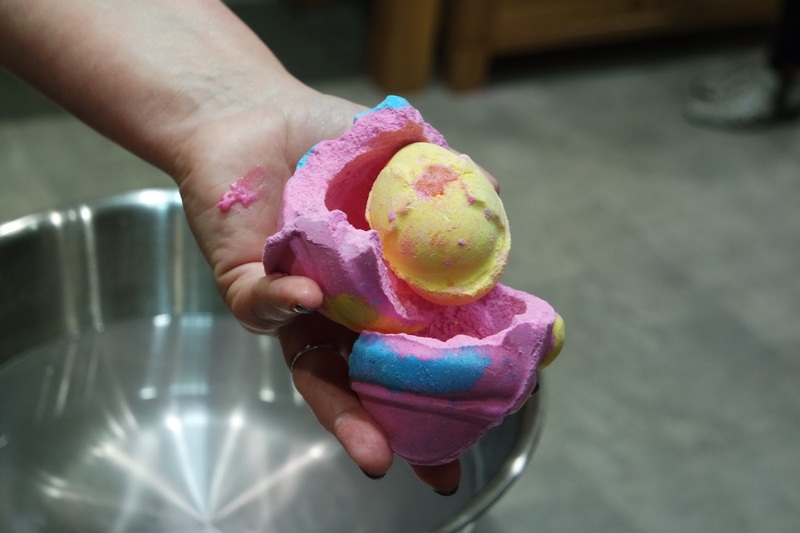 with old favourites such as Bunch of Carrots bubble bars and Keep it Fluffy bath bomb back for another year. I'll definitely be getting my hands on a few of these! 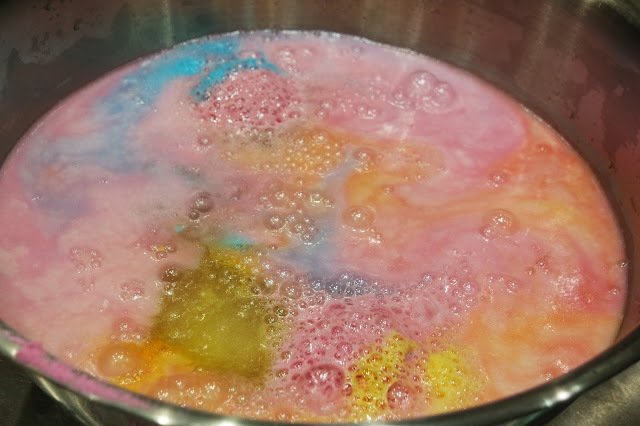 To finish the night off we got to make a Creamy Candy bubble bar. 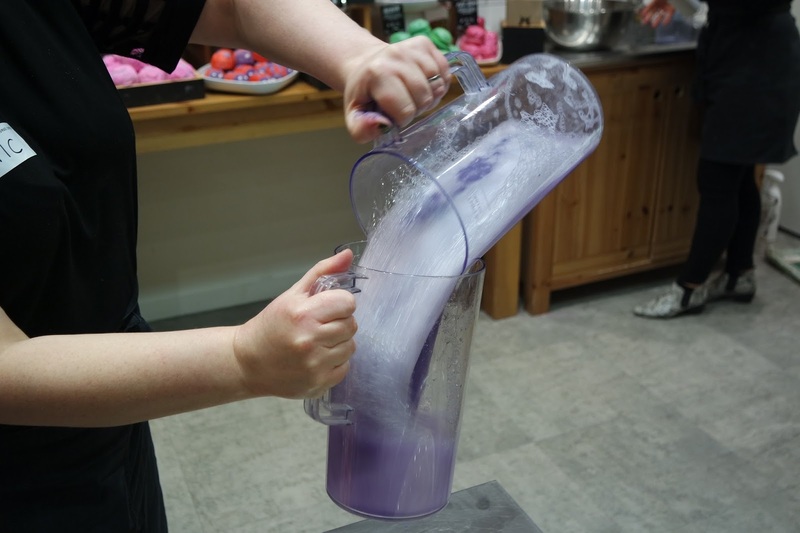 We mushed all the ingredients together and created our own shape bubble bar. 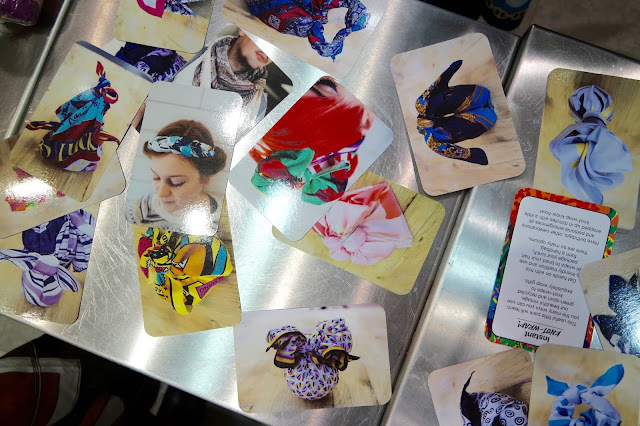 I love taking part in things like this as it's great to see what goes into the product and how they're made. The party lasted around an hour and I had such a good time. 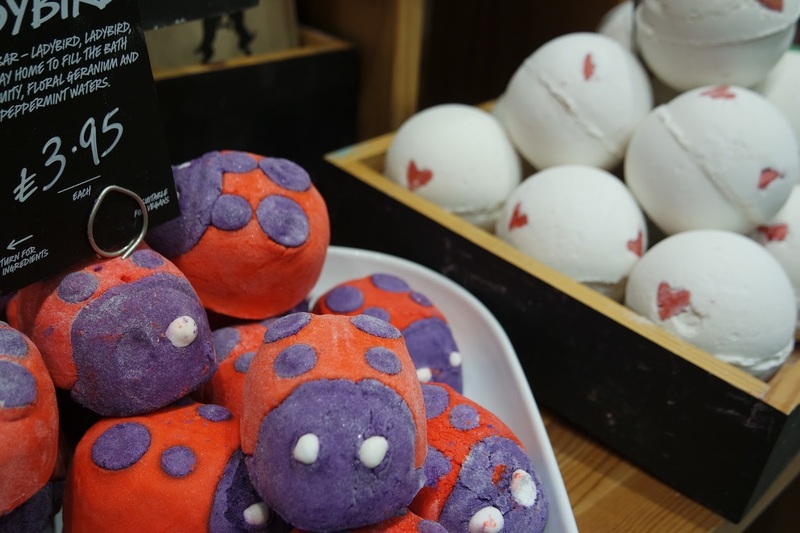 The girls at Lush do an amazing job and are so passionate about the products. If you are into Lush products I'd definitely consider having a party there. They can tailor the Happy Hour Party for young children, teenagers, baby showers, hen and birthday parties! It's £15 a head with £5 shopping experience (making products is additional). 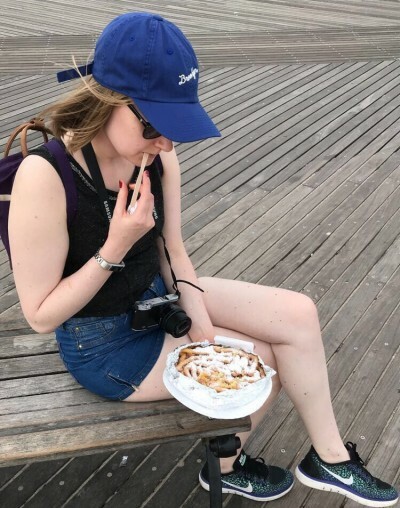 Is this something you'd consider? Also what Easter products are you most excited for? Want to try the best steak of your life?